Summer heralds a time to rest and vacation for educators. It also brings the opportunity to expand your Professional Development at your own pace. The Teaching with Primary Sources Program at Governors State University offers you a variety of innovative workshops and online training conferences for Summer 2016. Teaching with Primary Sources: Level I (a two-day workshop) for Joliet 86 School District Teachers of Grades 4-8 on August 1-2 from 8:30 am to 3:00 pm each day. This workshop will be held at JFK 420 N. Raynor, Joliet IL. CLICK HERE FOR DETAILS. 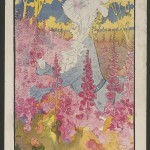 Get an overview of the digitized materials and K-12 resources from the Library of Congress. Teachers and students demonstrate how primary sources can be used to support inquiry learning. Inquiry encourages students to draw on their prior knowledge, personal experiences and critical thinking skills to construct meaning. 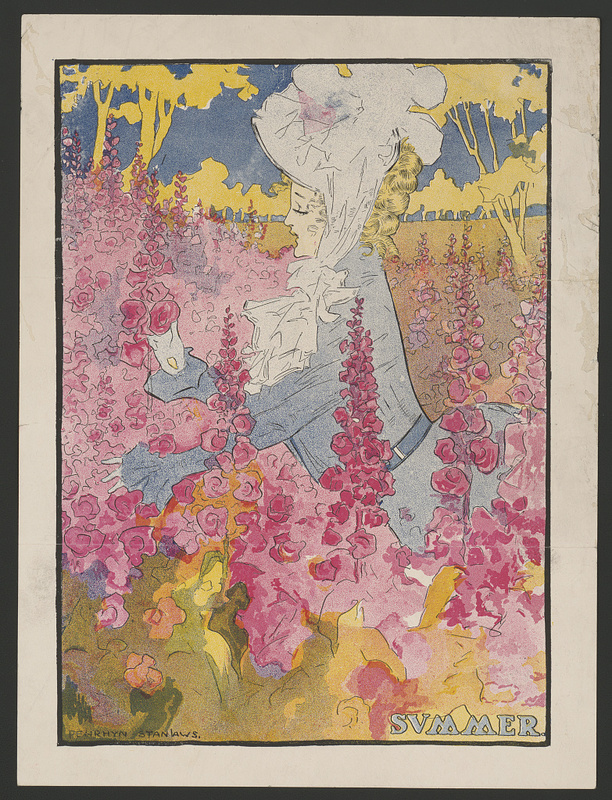 Learn how to evaluate primary sources from the Library’s collections for the best use within copyright. Listen to several teachers as they evaluate the use of primary sources for use with their students. Learn how photographs and prints from the Library’s collections can increase student engagement in the classroom. Learn instructional strategies for using maps in the classroom. Understand the breadth and depth of the Library’s collections and listen to teachers as they find primary sources for their students. 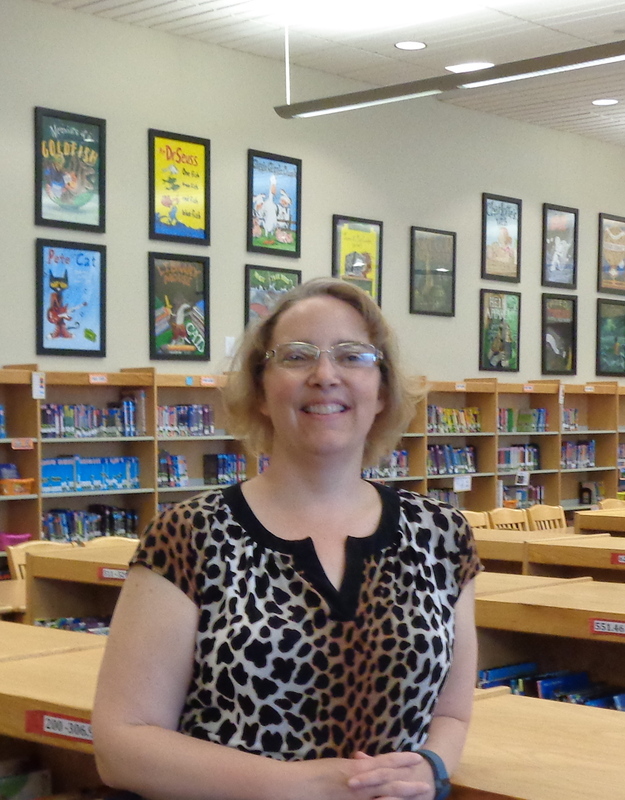 We are so excited to introduce you to Annette Vanderwall, who is the New Lenox School District Librarian. 1 – When did you take the TPS Coaches Academy, and what classroom activity or lesson plan did you design? I linked many modes of transportation (airplane set, trolley car with audio file) so as you work through the images you link to various sets in the Library of Congress website. My Professional Development piece is available at https://docs.google.com/document/d/1CGwbR5bxuQgCeIQNNo7bRcg4P3SHzP7Ll3wP-XhAgGM/edit?usp=sharing. 2 – Please tell me how you implemented this lesson plan/activity in your school district. I presented it as part of the professional development for my Lincoln Way Area Vertical Team consisting of librarians from High School, Middle School, and public librarians. I also presented it for professional development with the staff at my local district, New Lennox 122, and people are using Library of Congress materials. 3 – What has brought you the most value from TPS-GSU professional development programs? Learning about how to use these resources with my students – the Level I classes with Dr. Lucianne Brown showed the variety of different resources available and we went through activities showing me how to use them with students. My kids love them and they remember them. We go back to them often and they comment on them over and over. 4 – What inspired you to want to become an educator? I don’t remember wanting to do anything else. I thought an educator would allow me to touch of all of my interests … dinosaur digs, work with NASA, and go into places such as the Field Museum in Chicago … and then bring all of those experiences to the children makes it very worthwhile. I wasn’t a classroom teacher very long. I stumbled into the library and that’s where I found my niche. Bringing the books to the children that they need has been very rewarding and that has been really wonderful. 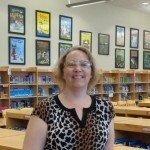 5 – What do you enjoy most about being a teacher and librarian now? I really enjoy the excitement that happens when the students light up on different topics. We hear that the older they get the less reading they do, but I had 6th graders cheer me when they saw me and knew they would get a lesson involving reading. It’s good to see them excited about coming into the Library, and it’s rewarding to watch them grow in the six years I have them as their librarian. From beginning readers to older kids, when they can have great discussions with you about the books they are reading, it is really exciting. 6 – Are there any recent achievements you would like to tell us about? Completing the Coaches Academy was exciting for me, and then being asked by Dr. Brown to join the TPS Team and do a workshop this summer. 7 – Please tell me about yourself and your family. My husband, Michael and I enjoy spending time with family and enjoying all of the benefits of living in the Chicagoland area.